Keep your clothes organised to perfection with the Concept 3 Door Wardrobe in Grey & Oak Effect from Vox. With a large hanging space and four shelves that can be positioned how you choose your young adults will have no trouble keeping their clothes in order! With the addition of drawers, it's perfect for storing blankets, bed linen or towels! 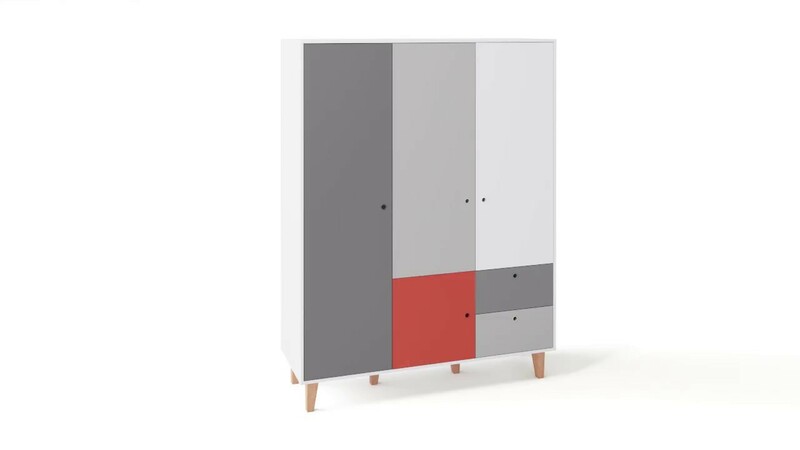 Its simple colour palette of grey, white and oak will bring a touch of Scandinavian style to any room however if you fancy adding a splash of colour, why not switch up the oak panel to sky blue, red or yellow. Your youngster is sure to love it!